Brady Sullivan Properties is pleased to announce its newest commercial property acquisition in New Hampshire: 1 Innovation Way in Merrimack. Boasting +/- 105,000 SF of Class A Office Space and most recently serving as the World Headquarters for Brookstone, Inc., this well-located, state-of-the-art Professional Building masterfully pairs a prestigious corporate image with a campus-style atmosphere. Standing 3-stories and showcasing a polished, grand entrance, the Property is available for immediate occupancy with leasing opportunities from 15,000 SF and up, with each floor plate offering +/- 35,000 SF. Generous ceiling heights and floor-to-ceiling windows throughout the Building provide a modern feel within the open concept areas, pairing nicely with Executive Offices and Conference/Board Rooms across each floor. 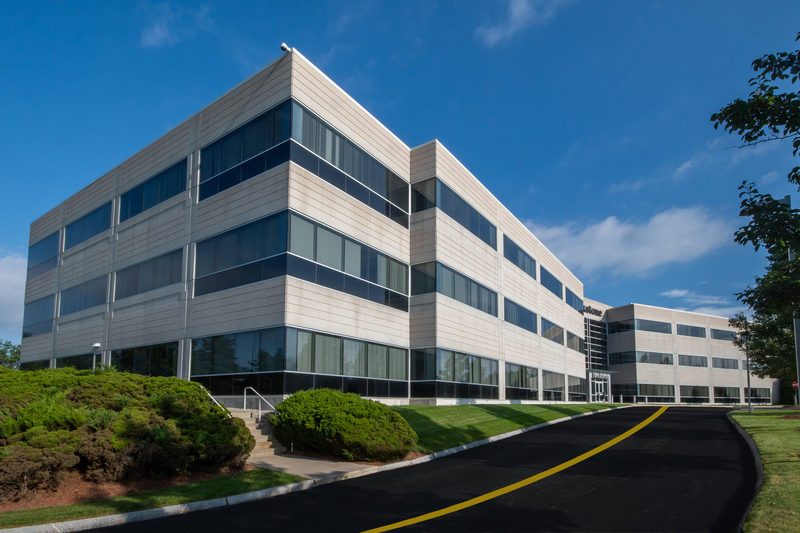 Parking over 5 vehicles per 1,000 SF and strategically positioned with convenient access to the area’s major roadways, 1 Innovation Way is a must-see for any image-conscious tenant seeking first-class space in the competitive Southern New Hampshire office market.